Editor’s note: Conor MacNeill talks with us about his life as a travel photographer and how his professional life is portrayed on Instagram. Find more of Conor’s work @thefella. 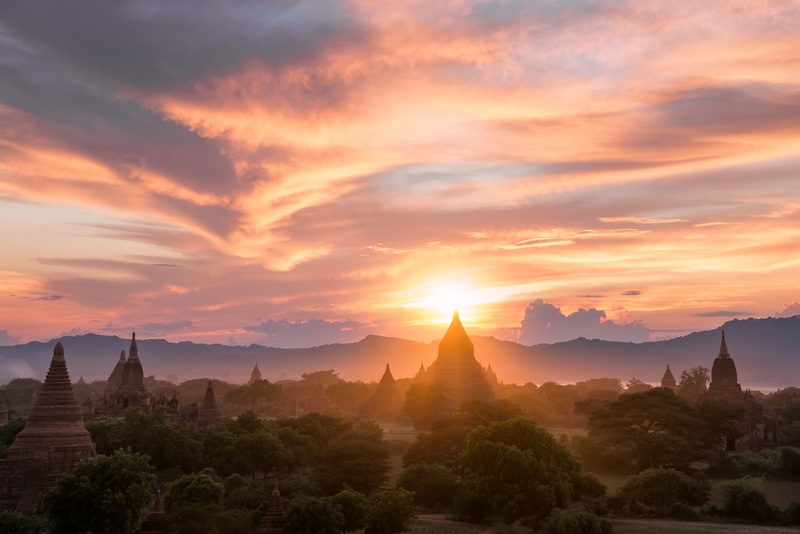 My colleague Greg Annandale and I had researched this area of Burma and found the best spot to see the sunset from. Sadly, we knew it would be full of tourists, so we arrived about 3 hours before and waited. After a climbing up and down and around the temple, we picked the best spot to stand for the approaching the view. Thankfully we were there early enough to get settled side-by-side and have enough room to get set up. As the evening went on, people filled up the temple, some giving us dirty looks for occupying the prime location! Once the sun got low enough and the rays went either side of the building, the whole crowd gasped! After a few seconds of stunned silence, the air was filled with the noise of shutter clicks, ours included! It truly was a moment and view to behold. After trekking around Japan photographing a tour for a week, I had a couple of weeks to myself. One of my first ports of call was Kyoto, as I knew this area was a wealth of amazingly photogenic locations. 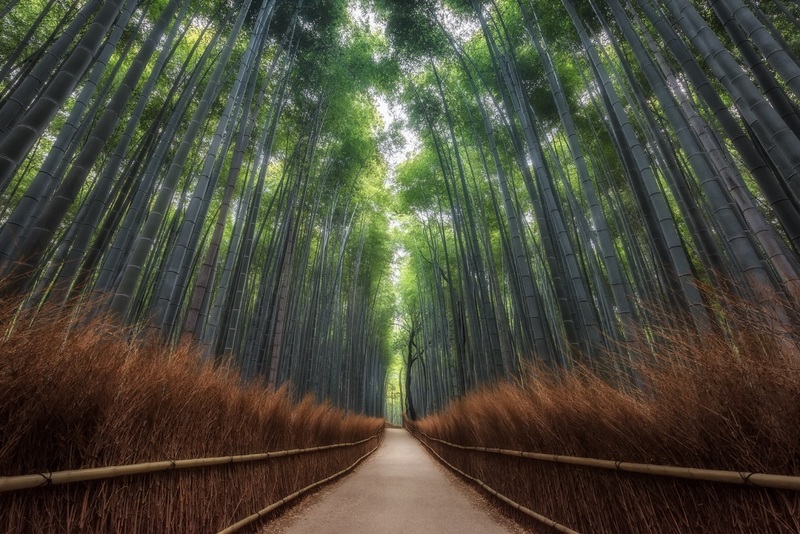 Top of the list, was the famous Sagano Bamboo Grove. I was expecting this to be deep inside a forest, taking many hours of trekking to get there. I didn’t realise that it’s a normal road with people and vehicles going up and down it! Thankfully I tend to arrive at my locations just before sunrise, no matter where they are, so I escaped the early morning crowds and got a reasonably clear spell. The only other person there at the crack of dawn was another travel photographer. 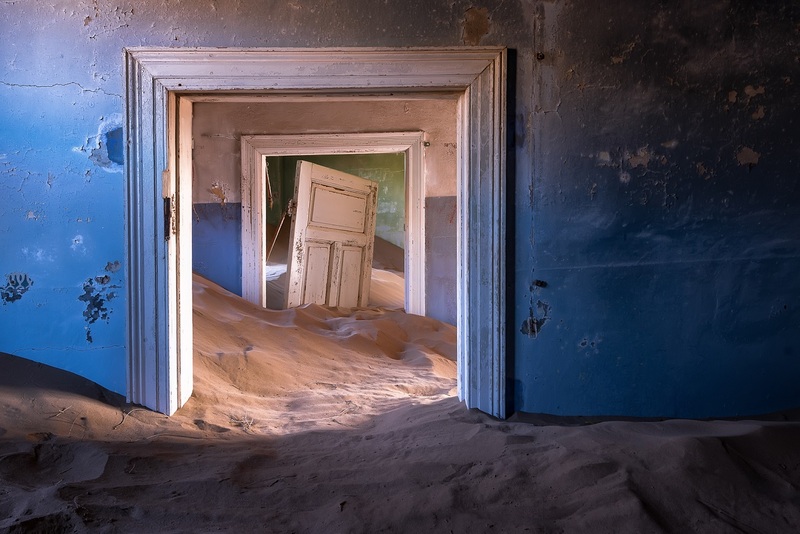 It had long been a dream of mine to visit the abandoned mining town of Kolmanskop in Namibia. One year, I finally bit the bullet and booked my flights to southern Africa. After two flights and 16 hours of travelling, I arrived in the capital Windhoek. After driving around the Namib desert and heading south, I finally arrived at the famous ex-German ghost town. The houses were in a great state of disrepair and there were many signs warning of deadly snakes. I explored with caution! I visited two days in a row, to make sure I’d explored every part of the town. It was on the second day, during the blistering midday sun than I found my favourite set of doorways. This was shot on our first photography workshop in Iceland. 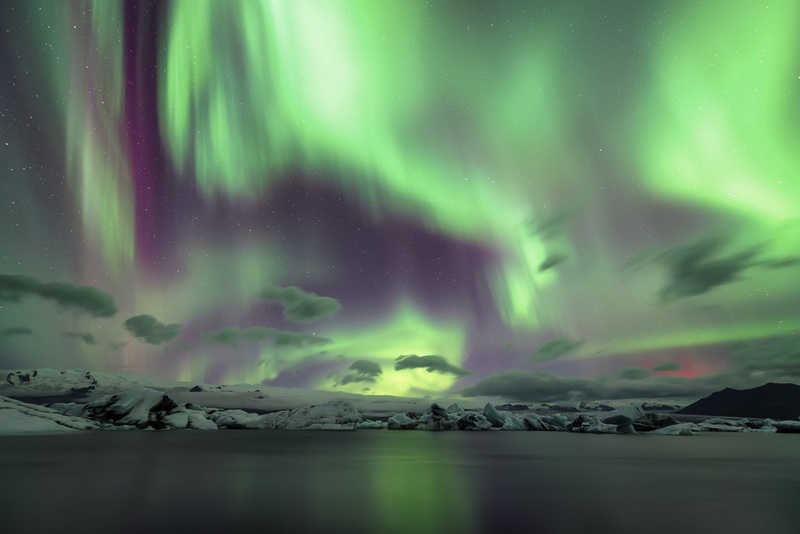 It was marketed as a landscape and aurora adventure, but the weather hadn’t been playing ball. Every night was pretty cloudy, so the northern lights were nowhere to be seen. We had stopped on the south coast for some food and bumped into some of my Instagram colleagues in the restaurant. They were sitting at a different table and halfway through their meal, they all got up and ran out. I figured it was quite rude of them to not even say goodbye! Then the waiter came over to us and informed us that the skies had cleared and the aurora was putting on a show. We raced to the nearby Jökulsárlón ice lagoon, just as the aurora activity started to increase. 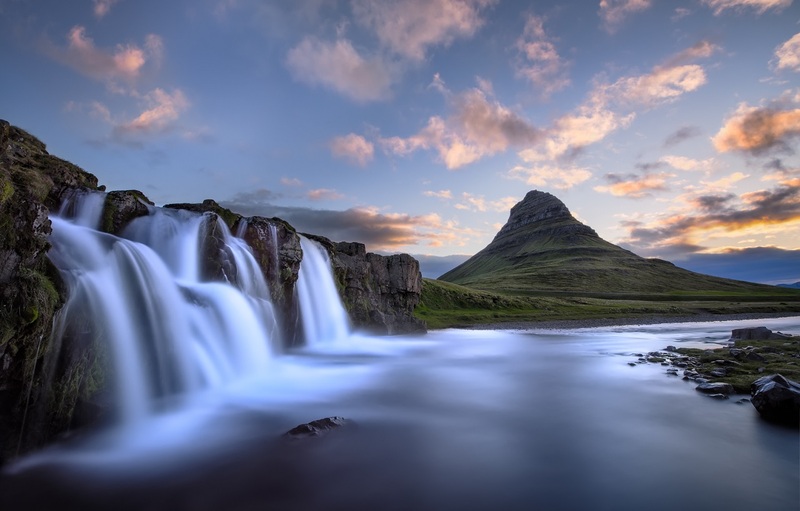 When myself and another photographer decided to visit Iceland for the first time, we didn’t know whether to head there in the winter to see the northern lights or in the summer, to experience the constant golden hour that is the midnight sun. We figured the simplest solution was to do both, so booked two trips a few months apart. This was taken on the second trip, during the midnight sun. We decided the best way to capture gorgeous light was to shoot at ‘night’ (when it was golden hour for around 6 hours) and sleep during the day. We completely flipped our schedules around, sleeping at 8am and rising at around 4pm. As fun as this trip was, once we returned to the UK, it took a while to get back into our normal routine! 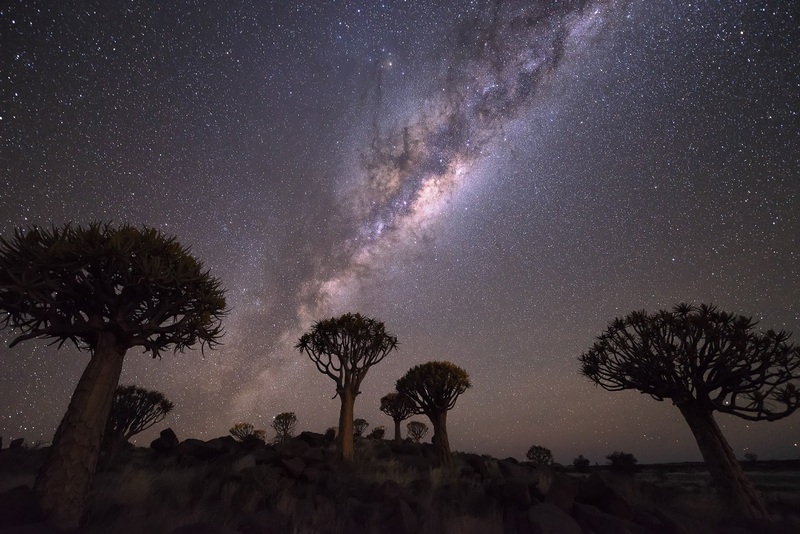 I do a lot of night time photography and I love capturing the Milky Way during those moonless nights. Sadly, the timing of this trip (not under my control) meant that there was a full moon by the time we got to Death Valley. The upside of this was the ability to hike around Death Valley like it was almost daylight. People don’t realise just how bright the moon can be when you’re in the middle of nowhere! 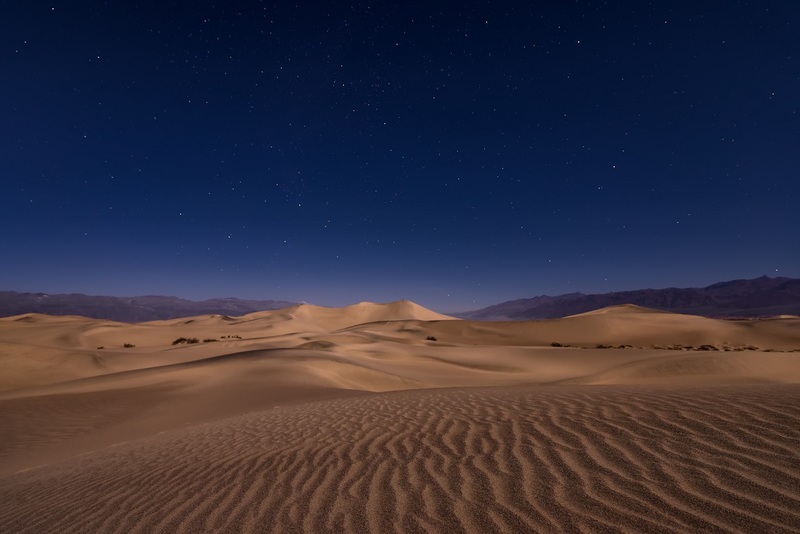 I spent hours under the night sky, exploring and finding different compositions amongst the Mesquite sand dunes. I loved the ripples in the sand and this is the shot I finally settled on. Petra was on the list of places I wanted to visit for such a long time. 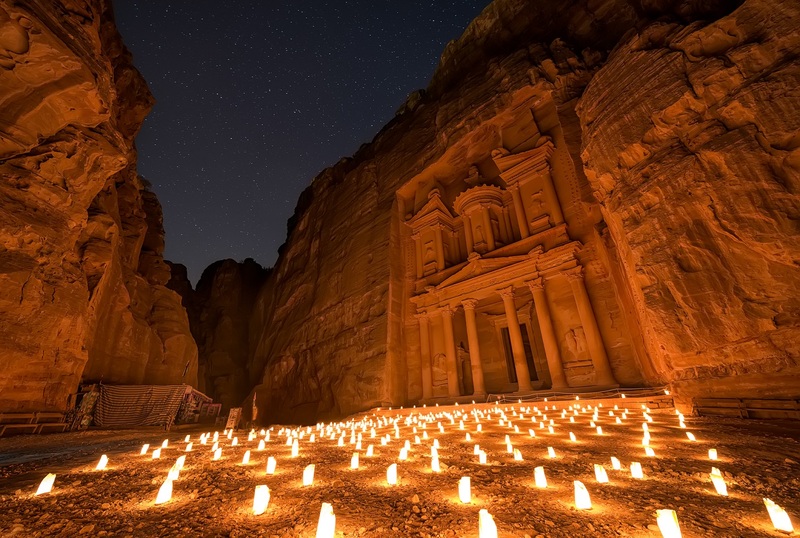 After doing some research, I discovered that the candles at this ancient city in Jordan only happen a few nights a week, and it would, therefore, be even more crowded with tourists. We spent a day exploring the whole site and sussing out the best locations for the following night. The next evening rolled around and we were first in line for the experience. Once the gates opened, we ran all the way (1.5km) to The Treasury, the most iconic part of this carved city and host to the evening’s festivities. This uncomfortable and sweaty jog allowed us to arrive before the hoards of people, so I managed to get the scene free of people. It was one of the more stressful shoots I’ve done! On the way back from shooting in the Arctic Circle one year, I was transiting through the capital of Sweden, Stockholm. I’d heard that the metro was worth seeing, so my photographer friend and I spent the Saturday evening exploring underground. Even though the stations were architecturally stunning, one of my favourite spots was covered in scaffolding for repairs. 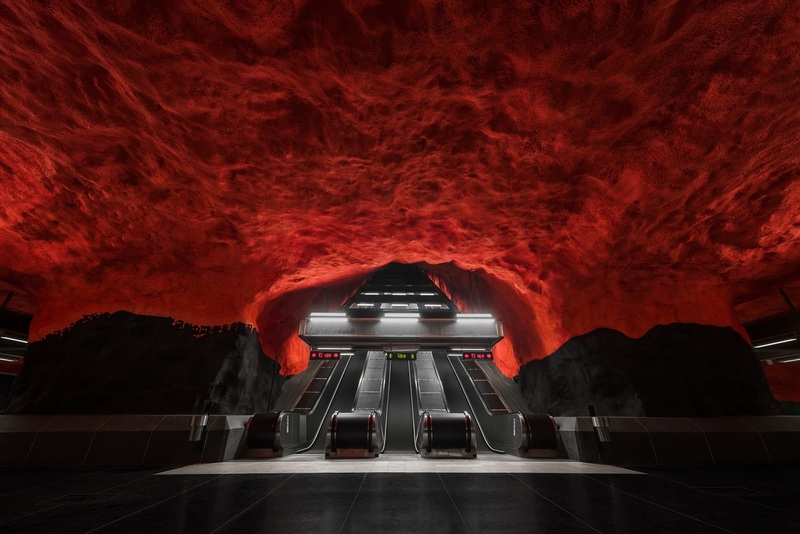 Skipping ahead two years, a group of Instagrammer friends asked me if I wanted to head to Stockholm to shoot the metro. I jumped at the chance to finally get the shot I wanted. Thankfully this city isn’t too busy (except at rush hour), so it only required 10-30 mins wait at each station to get it free of people.